[Jakarta, LTTW] War never has a positive side, no matter how we look at it. It’s an atrocity that gives nothing but agony, revenge, destruction, and death. The life-taking conflicts and war in the Middle East and some parts of Africa have again (and again) reminded us how destructive war is. 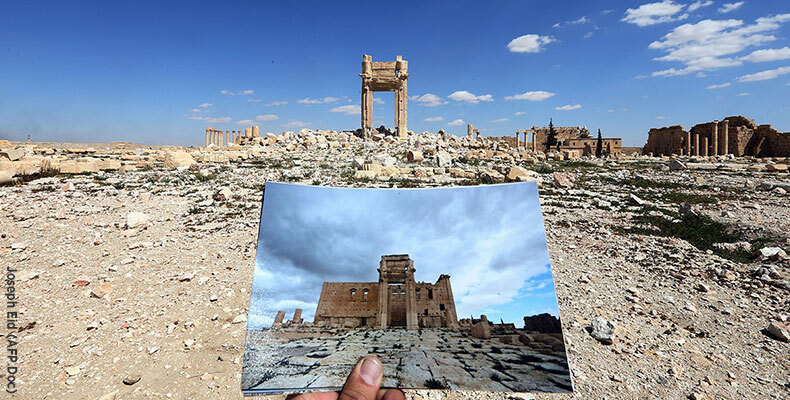 The War in Syria has also resulted in the demolition of Palmyra, one of historic ancient civilization sites that possess a great significance to human life. Palmyra is a piece of human history that cannot be repeated, and that’s what makes it so invaluable to the world. The ignorant ISIL recently retook the site from the Russian-backed Assad regime, and based on their previous act, we already know what they are going to do with the site; what else but to destroy it. The retaking of Palmyra by ISIL from the Russian-backed Assad regime raises big questions. Is the site not important to the Assad regime and Russian? If it were, then why didn’t they safeguard the site once they kicked out of ISIL? They certainly have more than enough armed forces to do so. The Russian even showed a positive cultural gesture when they organized a Classical music concert on site when they captured Palmyra. While we let the Russian and the Assad regime answer these questions, let’s take a look at the importance of Palmyra featured in this article.